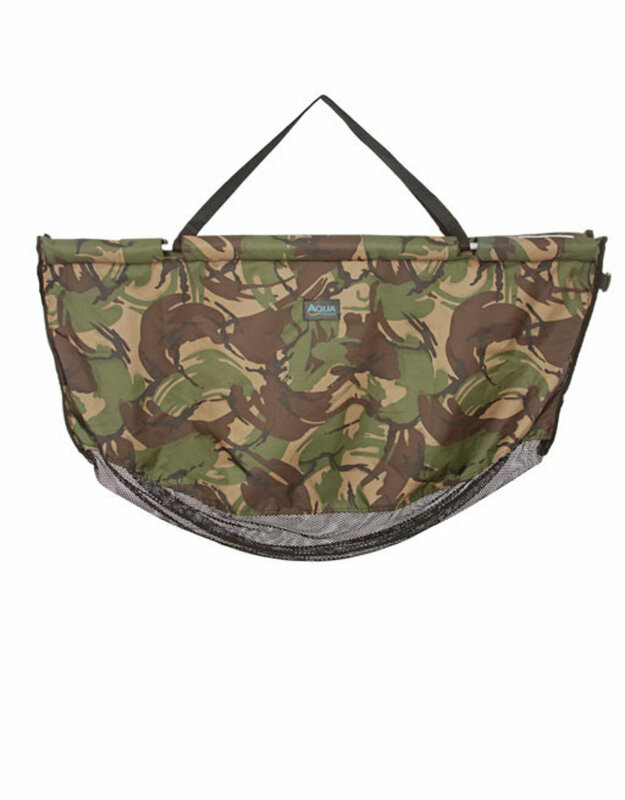 Developed using performance grade DPM Camo Aquatexx ensures that this weigh sling is not only fast drying and functional, but also cosmetically pleasing on the eye. Evolved from our long standing safety weigh sling that has sold in it's thousands over the years and popular for in- built bars offering support for the fish, the weigh sling adds an element of buoyancy to aid retaining fish for short periods. A clever zip feature means no fiddly buckles and a secure cord with bank stick fittings mean safety has been well thought through. The fact that that the fish can be returned directly to the water from this sling means less man-handling and less chance of damage to the fish. This sling is suitable for fish up to 40lb and comes supplied in it's own stink sleeve.